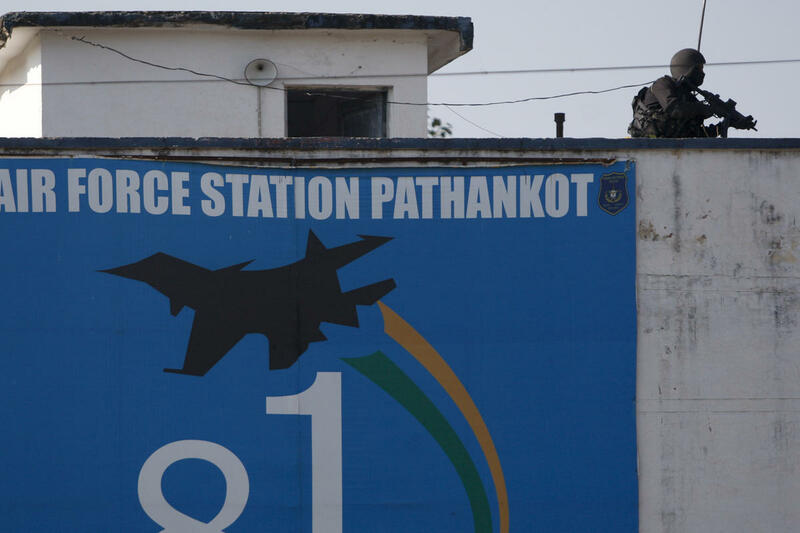 Pathankot Air base one of the key forward airbase located just 40 kilometers from the Border, The Base hosts military fighter jets like MiG 21 Bisons and Mi 24 attack helicopters. Pathankot remains the top priority of Pakistan. Pakistan tried many operations to sabotage the Air force base. However they never achieved a good score when they tries to hit the base. It's the early morning in 6th September 1965, The days of Indo Pakistani war. Pakistan plans to sabotage key Indian military bases close to the Border, So they send it's elite special forces to perform the mission. In the morning 6th September, A Pakistani air force C 130 flown over the Indian Air space close to Pathankot. The Pakistani Special forces known as SSG were para dropped from the C 130 and landed close to Pathankot air force base, Some other were dropped over Adampur and Halwara too. The SSG thinks the Army were so busy in eastern border, so they can easily control the Indian forward bases close to Pakistan. However the citizens and the state police found the intruders and detained them. Later they were transferred to Indian Army. the Known best SSG operation thwarted by locals. Pathankot once again targeted in 2015, However they were stopped before coming close to the Air force base, After the Police identified the terrorists, they were pinned down close to Gurdaspur, The actual distance between Pathankot to Gurdaspur is just some 40 kilometers. While The Indian Intelligence smelled that Pakistani's may target the Air force base again. 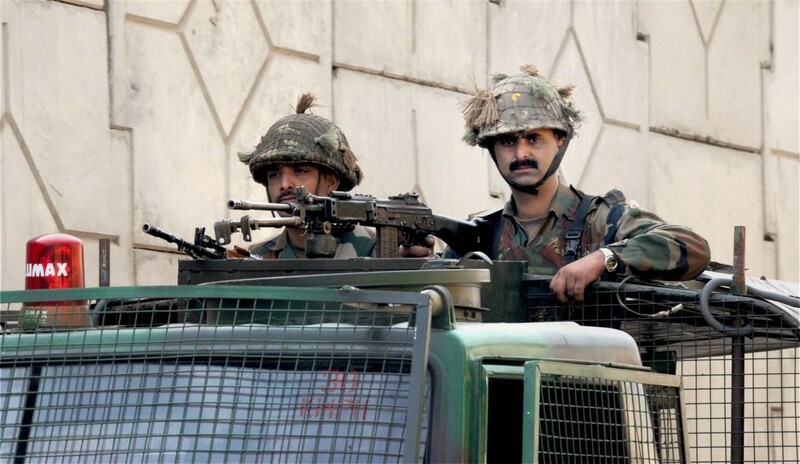 The Pakistani backed terrorists attacked the Pathankot base third time, However this time they get little success, where they entered the base's open field, While the Indian Armed forces and NSG never allowed them to enter key strategic base locations. 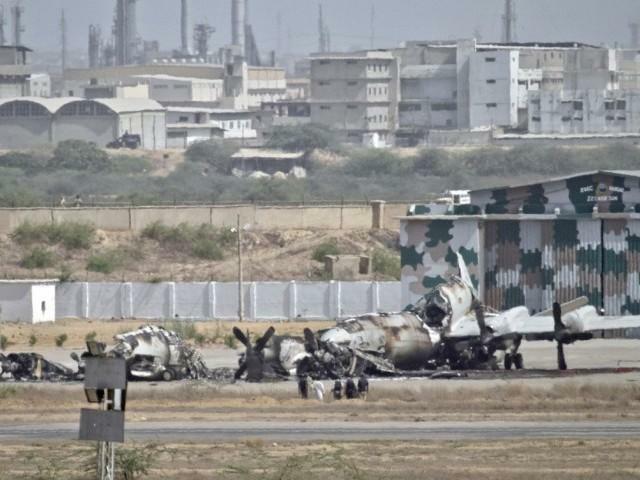 The Pakistani backed terrorists plans to do major damages to the Air force base by igniting the fuel Tanks and detonating the weapon storage sites. Which followed by destroying fighter aircraft's and other key ground equipment's. Ministry confirms that terrorists used 60mm mortars and 12.7mm heavy machine guns for continuous firing over the Indian force. which keeps the Indian soldiers far away from the attack zone. This will give enough room to terrorists to achieve their primary mission. However the Air force security personnel and the NSG keeps the terrorists heads down by targeting any moving objects. So the terrorists hardly get time to position those heavy machines for fire support. Some sources say they used the mortar and 12.7mm guns. However they didn't able to point on the exact target. The base is damn huge in size, due to large buildings to house soldiers and open fields for deployment, This makes the operation took long time, The NSG also planned to capture alive anyone. However due to the over running time they were blown up the building where the terrorists used to hide. The Pakistani Terrorists operation is failed, However India lost seven of it's soldiers, Out of five were Security guards, they won't carry any fire arms. since they were ex army soldiers who were in duty of safe guarding the Base. 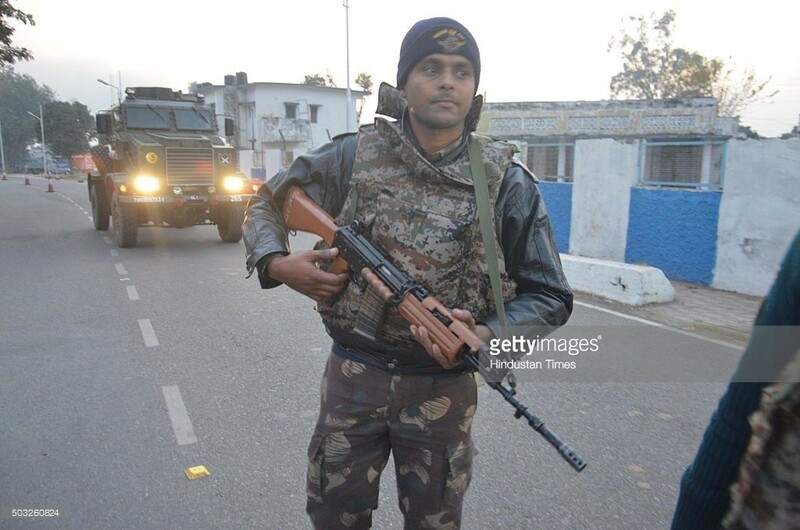 One Air force garud commando and another NSG EOD technician lost their lives in the attack. 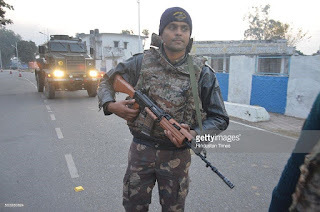 Indian soldiers killed all terrorists and NSG undertaken the Air force base after the shoot out ended. Pakistan too attacked by some of anti government terrorists, Key air force base in Kamra attacked by the Terrorists in early 2012. The terrorists made some good damages to the Pakistani air force by completely destroying one Saab Erieye AEWCS and damaging two others. The base attacked by nine terrorists who also killed two Pakistani soldiers. Year before in 2011, The Terrorists attacked the Pakistani naval base in Karachi, making devastating losses to Pakistani Navy, The Attack was a huge lose to Pakistan, since Pakistan lost many of it's personnel and key aircraft's too, Pakistan lost two P 3C Orion Anti submarine aircraft, also lost eighteen soldiers which include SSG and Pakistani Ranger special forces. Even in the attack two terrorists successfully escaped from the zone and remains in large.